Hah, I love Tomas reaction! 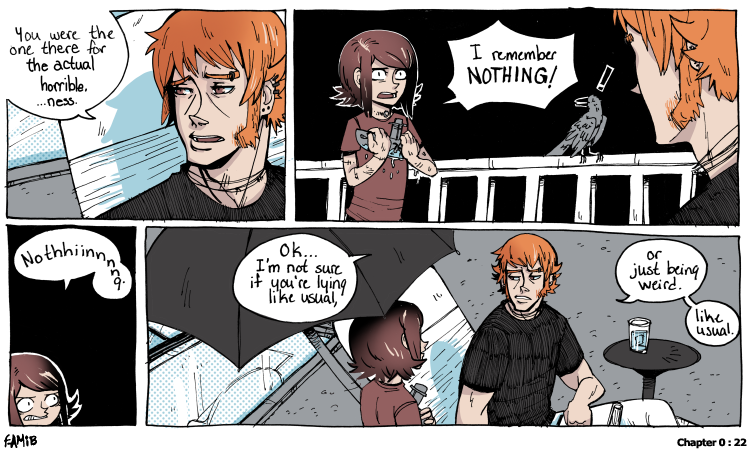 Wait, I don't remember if he really remembers nothing. I am pretty sure he remembers everything though, am I right? Narancs patience with Tomas' sometimes grows a bit thin. Last page of the chapter is on Monday. Will I get so sick of the page I re-draw it this weekend? You'll have to wait and see.